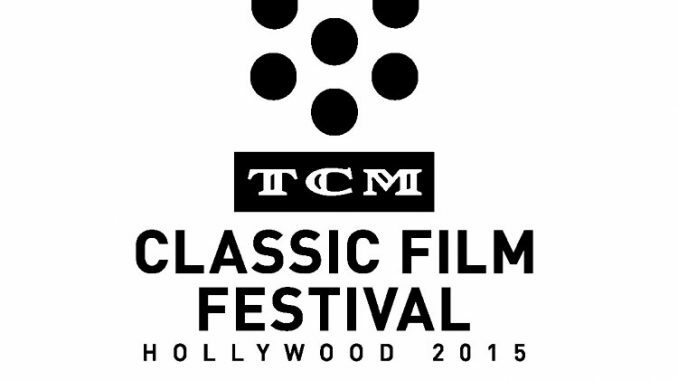 The 2015 TCM Classic Film Festival Schedule is Here! 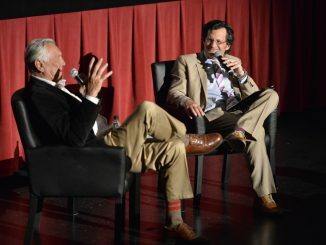 HomeEventsThe 2015 TCM Classic Film Festival Schedule Announced! Studio-era classics My Man Godfrey, The Philadelphia Story, and 42nd Street are sure to be popular hits with passholders, and the Roosevelt poolside screening of Grease will make a fun alternative on opening night for those not attending the The Sound of Music premiere at the Chinese. 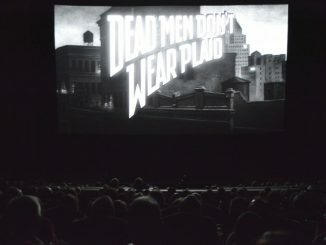 The festival always promises rarely seen gems and the film purists out there will be happy to see 35mm presentations of Ernst Lubitsch’s The Smiling Lieutenant (1931), a newly restored print of Don’t Bet on Women (1930) and The Cincinnati Kid (1965), the latter with a discussion by ’60s Screen Siren Ann-Margret herself! James Bond fans will be richly rewarded this year, with a sure to be sold-out screening of On Her Majesty’s Secret Service (1969) which will be an especially exciting opportunity with the most underrated Bond George Lazenby in attendance for a Q&A. And if you’re a Sean Connery purist? There’s The Man Who Would Be King (1975) which is probably the best comedy you’ve never seen. And there are plenty of didn’t-see-that-coming surprises this schedule: Cornetto Trilogy creater Edgar Wright will be introducing Alfred Hithcock’s Psycho (1960), the Disney live action/animated film So Dear to My Heart (1948) gets a rare 35mm presentation, and … Kiss Me Kate (1953). In 3D. You have been warned. Panel discussions and interviews are another festival highlight, providing stimulating insight from industry professionals, and serious film fans are no doubt going to want to hear film historian Jeanine Basinger discuss Hollywood’s fact-checking skills (or lack thereof) with her discussion “Film and Facts: Whose Responsibility?”, and the Club TCM interview with the always-unpredictable Peter Fonda will be … well, hopefully, quite unpredictable. And for the highly caffeinated passholders, this year’s midnight screenings of the so-bad-it’s-good Boom! (1958) and the SNL-flavored Nothing Lasts Forever (1984) are all the caffeine you’ll need to go the distance. From The Purple Rose of Cairo to The French Connection to Rebecca to Rififi, this year’s festival lineup is a rich, cineaste cornucopia of delicious variety, thanks to a wonderfully gutsy decision on TCM’s part to skew newer and dig deep. Now: how to endure the torture of endless Sophie’s Choices that the schedule demands? Yes, it’s torture, but it’s a beautiful torture. Click here to download the full schedule in all its glory, and be sure to visit the TCM Film Festival website to keep up to date on new additions to the lineup. See you at the Roosevelt! And they’re showing both The Apartment (with Shirley MacLaine in attendance) and The Loved One (with Robert Morse in attendance). Those are the two films I would want to see the most! Just to let you know, the name is Ernst-not Ernest-Lubitsch. We love Ernst, and apologize for the typo.